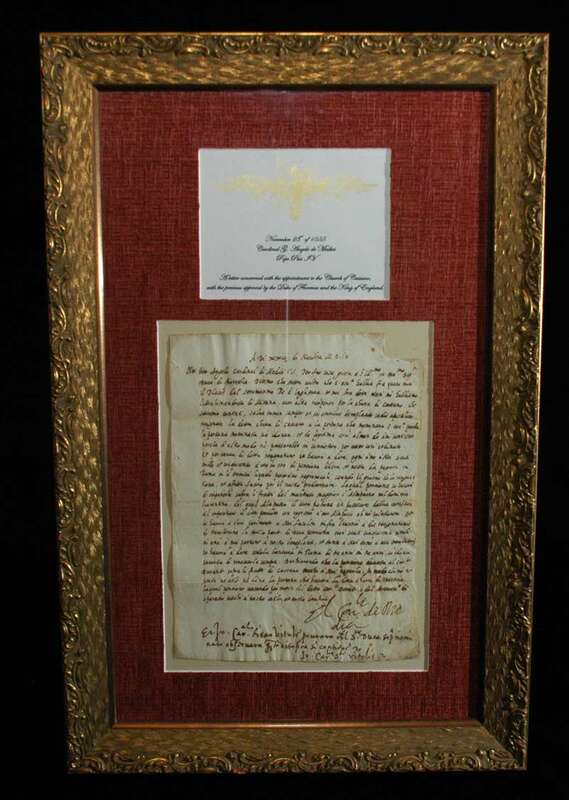 A document signed prior to his pontificate as Cardinal de’Medici. 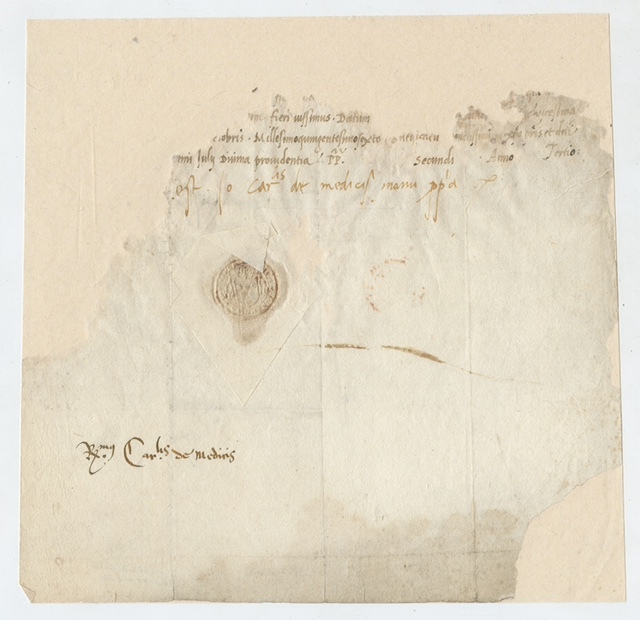 It is dated 1520 and is an untranslated letter. 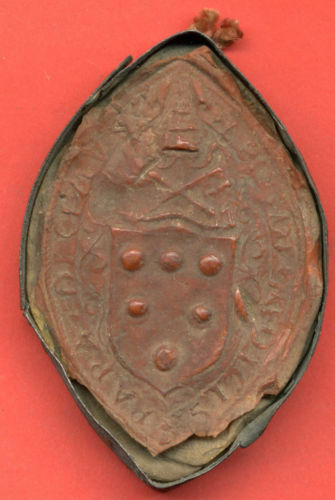 King Henry VIII broke off relations with Pope Clement VII when he wouldn’t give Henry permission to marry Ann Boleyn. 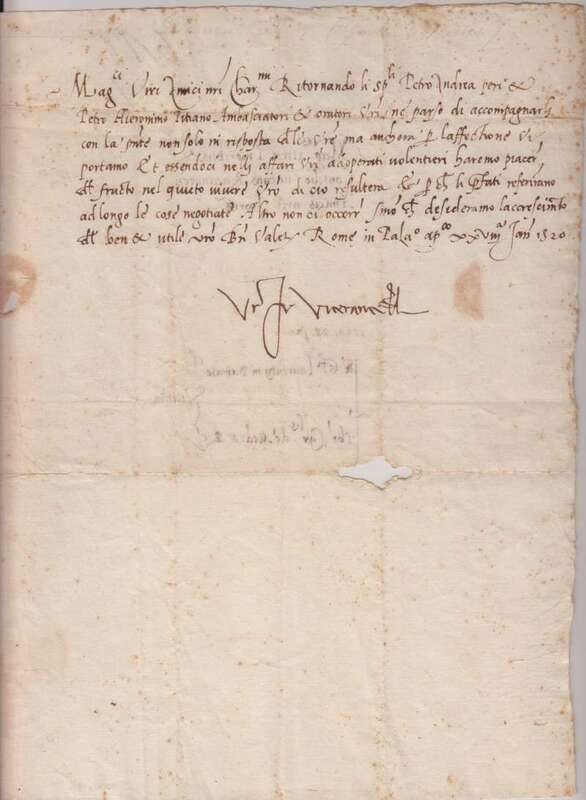 An autograph signed as Cardinal Angelo De Medici on November 23rd, 1555. 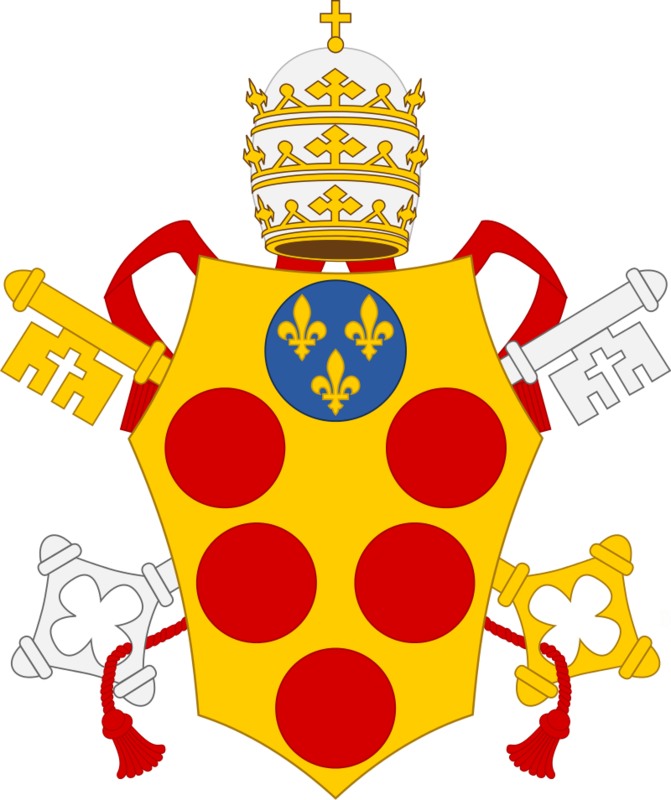 It concerns an appointment of the Church of Cassano with the previous approval of the Duke of Florence and the King of England. 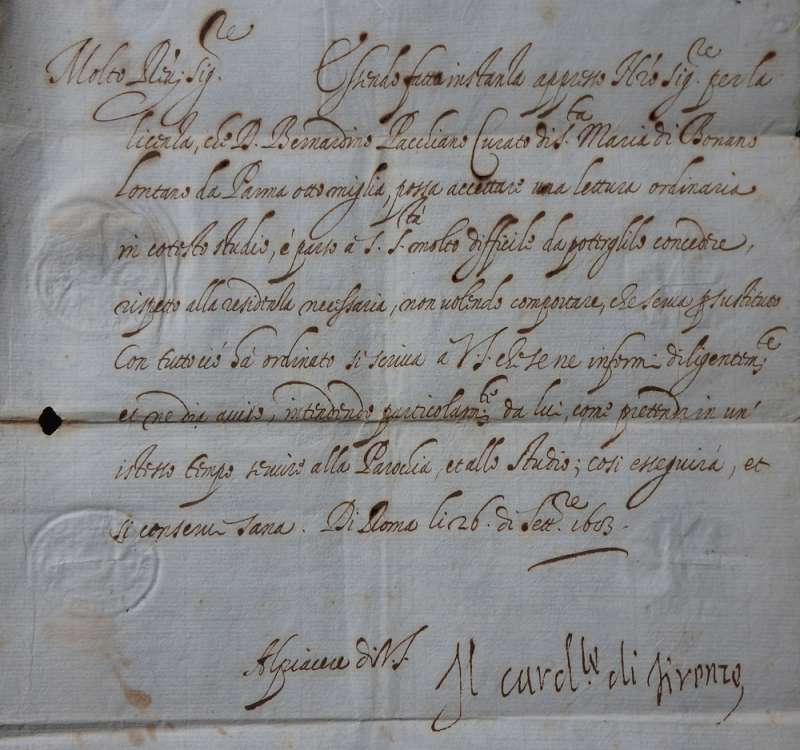 It is known as an Als, an autographed letter signed which means that a calligrapher signed for him and then he signed on the bottom as Cardinal De Medici. 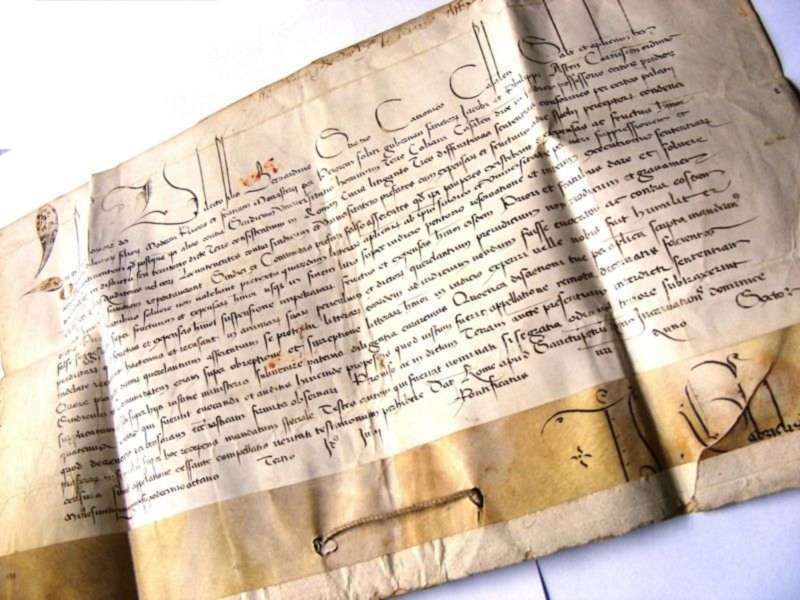 This is a particularly valuable addition to the Collection given the incredibly short duration of his papacy: it began on April 1st, 1605 and ended on April 27th of that month, a mere 27 days later. His pontificate is one of the briefest in history. 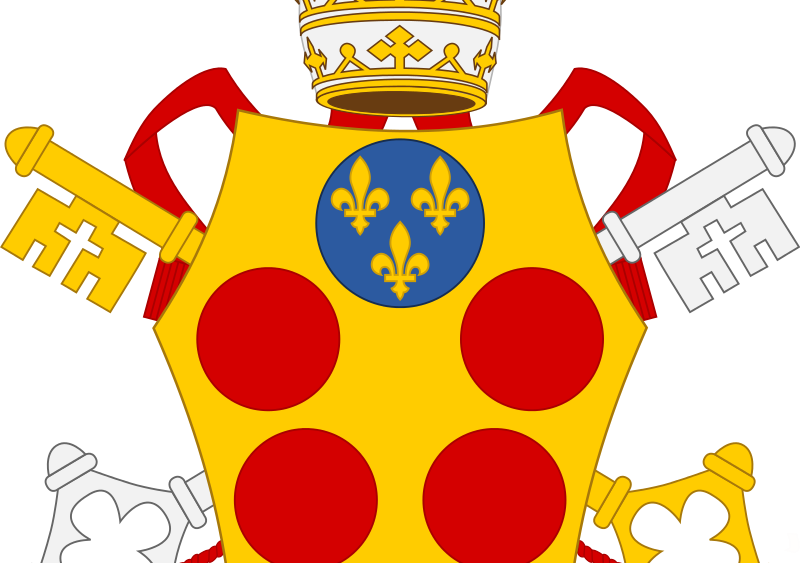 For three centuries, the Medici family, known by this logo, was one of the most powerful in Italy. Coming from Florence, some of them eventually moved to Rome and had four men become pope in between the years of 1513 to 1605. During their reign of power, they lived at Palazzo Medici, now the Italian Senate, in the middle of Rome. The current Parliamentary Councilor explains their story. Apart from books, the Medici family also brought with them art, architecture and a rich culture. Interesting pieces can be found all around from this ostrich, dedicated to Margaret. It is a play on words between the French translations of Austria and ostrich. It also symbolizes speed, strength, steadiness and love. There are another eight rooms, however, dedicated to the four Medici popes. Each pope had two rooms dedicated to him, with frescoes representing his pontificate. 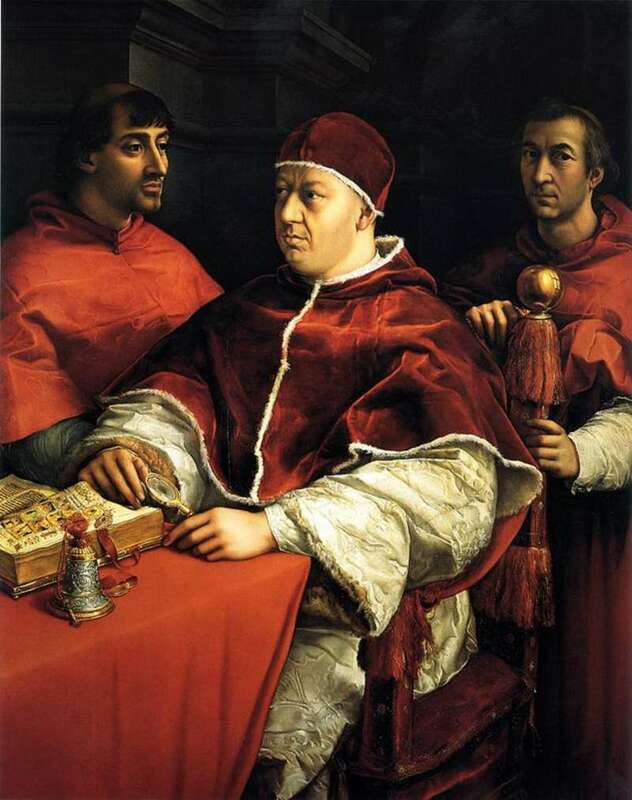 Giovanni de Medici was the first one to become pope, taking the name Leo X. He is known for the indulgence controversy, which ultimately let to the Lutheran Reformation. The palace has Garibaldi Hall dedicated to him. The room was originally divided into two, but has now been joined with lions represented in the frescoes, a staple Medici symbol. 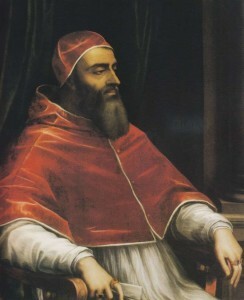 Leo X’s cousin, Giulio de Medici became Pope Clement VII in 1523. He is depicted in the Hall of the Ostrich and Risorgimento Hall. 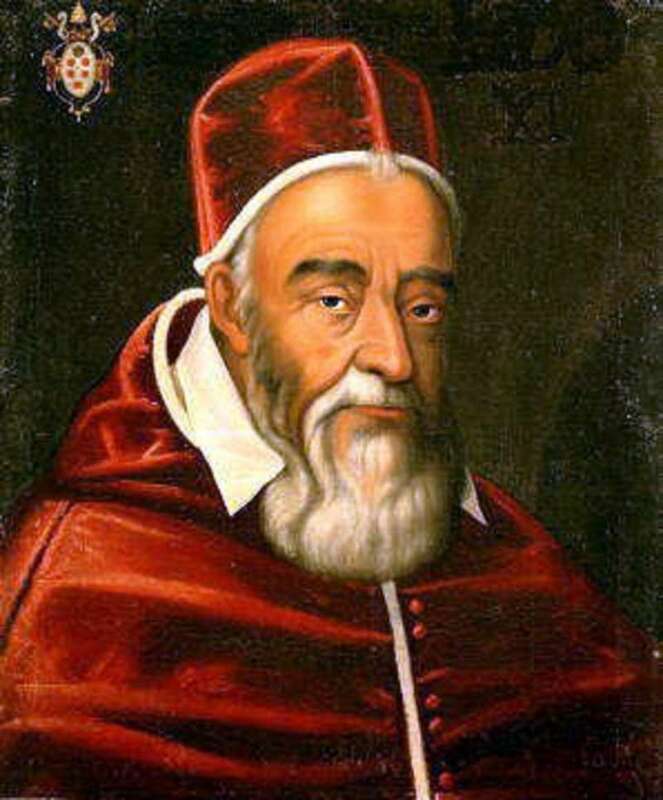 The third pope, Pius IV, is remembered in Marconi Hall and Anteroom of the Balustrade. 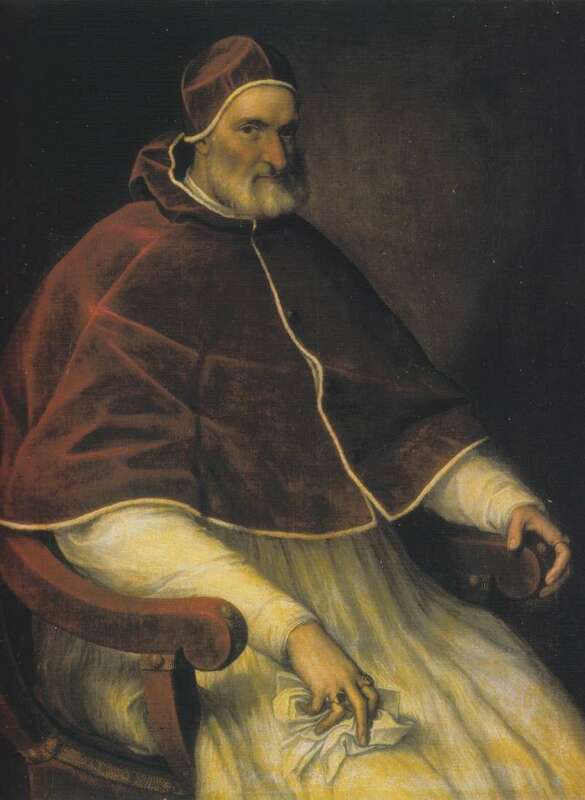 Pius IV, was born in Milan, not related to the Medici’s from Florence. He is known for presiding over the final session of the Council of Trent. The fourth Medici had a pontificate 27 days long due to an illness that took his life. Leo XI has a painting of him in bed, being asked by his confessor to name his nephew a cardinal. He extends his arm, clearly saying “no” right before his death. That’s why today, there are still these small paintings and memories of the Medici Family, the famous bankers and traders of Florence who transferred to Rome and are forever remembered in the history of the Catholic Church.